Take our liquid soap pump and your rustic cabin and you have a match. 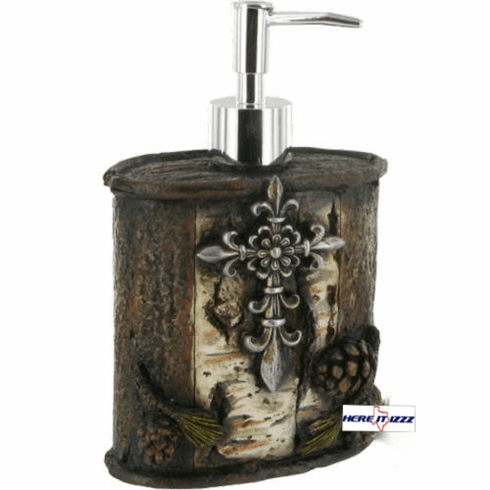 This soap pump is adorned with a fleur de lis cross and pine cones on Birchwood tree bark. Works great with hand sanitizer and hand lotion.